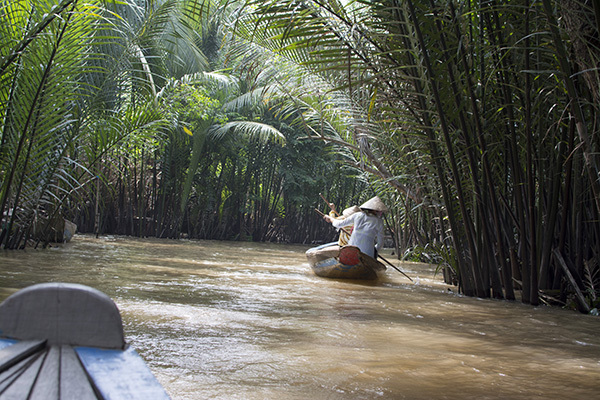 Vietnam is a country of contrasts, breathtaking landscapes and intriguing culture. On the other hand it pushes you off with crime, unfriendliness and scams. Like most of the countries in the world it has its ups and downs and usually leaves its visitors wondering if they love it or hate it. That was my case too. I stumbled upon an interesting statistic when I did my homework before we left for Ho Chi Minh. Thailand had the amazing number of 22 million visitors in 2012 and almost doubled the numbers in 2013 . The country has a return rate of 50%. 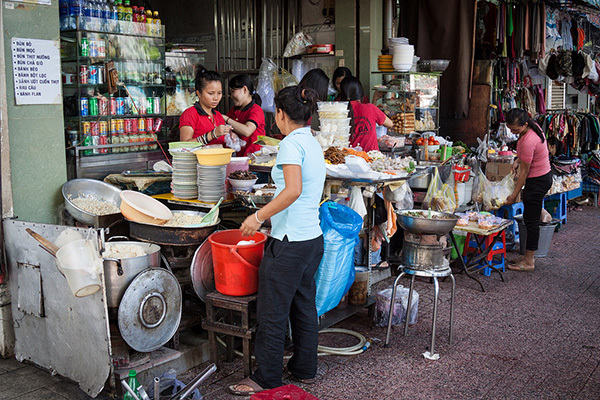 While its neighbor Vietnam had a mere 6 million visitors in 2012, even less in 2013 and a return rate of only 18%. 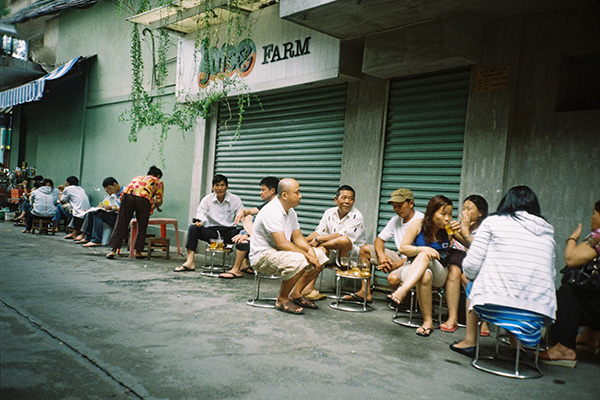 Even thought Vietnam didn’t start to open up to a foreign visitors until the mid-1990s, this couldn’t be the only reason why visitors didn’t find themselves appealed enough to come back. And it seems illogical when Vietnam has to offer endless stretches of white sand beaches, amazing mountain retreats and the unique culture of the various tribes spread across the country. As I had the chance to explore both Thailand and Vietnam I could determine few of the things with which Vietnam put me off as a tourist, explorer and a person. On the second day we were in Ho Chi Minh City, I and Dilyan met with a friend of ours, that turned out to be on a vacation there too. Usually we are not the type that goes out and sits in a cafe in the middle of the day, when there is so much to explore, we agreed to grab a quick cup. We sat at one of the various places in the very center of the city in district one. I was trying to ignore all the noise from the street, plus the seller who came by our table trying to sell us everything from sunglasses to hats. The air was sticky and dirty and I was already regretting for stopping for coffee when I felt the marijuana smell in the air. There were two tables beside ours. On the first one, a foreigner and a local were very open about their preferred smoke for the day. On the second table, a big company of local men, were smoking joints too, laughing loudly. I was surprised that no one seemed to care even thought the marijuana is illegal in Vietnam. We were told by a local girl, that it is normal to be offered ex and cocaine when clubbing in Ho Chi Minh. Being able to witness the traffic in most SEA countries I thought I was prepared for anything. 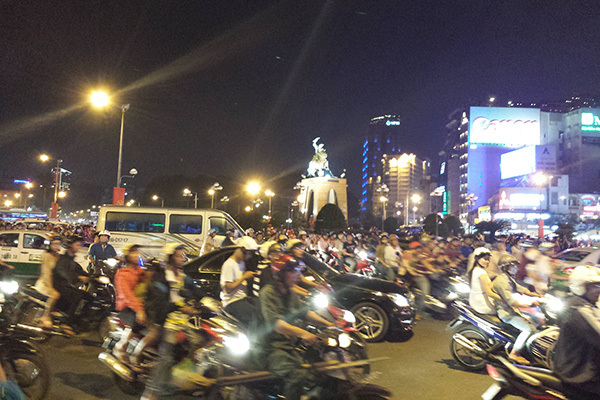 But the traffic in Vietnam proved me wrong. With drivers that often don’t mind the direction of the traffic, ones that even drive on the sidewalks and with buses and trucks that will push you off the road, the traffic in the country is a real challenge even for the most experienced drivers. According to the Vietnamese laws only drivers that have a local driving license are certified to drive in the country. Well, this is not completely true, as we rented out a motorbike and drove for more than 1300 kilometers. But even if we wanted to be all ok with our documents, that was going to be impossible. Only people who have been in the country for at least three months, are allowed to take the exam, which is carried out in Vietnamese only. But the police in general doesn’t care much about it and would only ask you for a bribe if they find out that you are driving without a license. Similar experience to the one in Bali. This photo is used for visualization only. These are not the policemen that asked us for money. 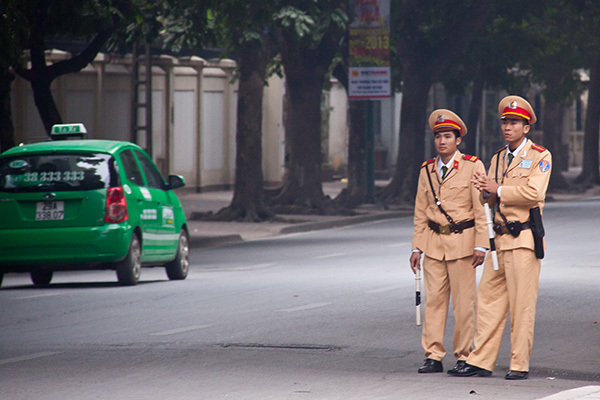 We heard that the police in Vietnam is open to bribes and they are not shy about it. As we have experience with this kind of situations in Indonesia (Bali) and our own home country Bulgaria, this wasn’t something new to us. But still I got so angry and mad when we got pulled over for something we didn’t do. As we were returning to Ho Chin Minh from Vung Tau, near the end of our trip, we had to make a right turn. I am more than sure that Dilyan gave the right signal, as we were commenting and laughing that nobody is using their signals except for us. We got pulled over, by basically hitting Dilyan with one of the police batons. There were five policemen and I saw how three of them were bribed by local people while we were waiting. We stayed there for few minutes, until one of them approached us and explained us that we were pulled over, because we used our left signal but took a right turn. He didn’t speak a proper English, but was able to write 500 000 dong, the amount of money he wanted from us. We told him, we don’t posses that amount and that we are not willing to pay, but he insisted on doing so. After a while the police man agreed to take 80 000 dong and S$10 from us. I am not a big fan of the Asian cuisine, but I do love most of the Thai dishes and have been eating street food in Bangkok. Well the case with the Vietnamese street food is not exactly the same. The food is not as visually appealing as that of Thailand and make the tourists somehow nervous about the food safety. The most street food vendors doesn’t speak English so you have to guess what you are ordering, while sitting in a ridiculously low chairs in the middle of the sidewalks. During my stay there I wasn’t offered to eat a dog, but I was offered a crocodile, mice and snake meat. I understand that this may be normal according to their culture, but definitely not the right choice for dinner for me. Vietnam has a long way to go before it can catch up with Thailand or even Cambodia. When paying the S$110 dollars for a single entry – one month visa, you expect to learn, see and experience more than you are offered. Unfortunately sometimes the famous marquee attractions, the old-school Asian bustle and street life, the picturesque scenery and untouched coastal line are just not enough. Even though we didn’t have the best experience we did had a good time and we met compassion and friendliness in some parts of our trip.